Dr Bob Leckridge BSc, MB, ChB, FFHom worked as a General Practitioner in Scotland for the first half of his working life, then moved to practice homeopathy full-time at the Glasgow Homeopathic Hospital (now known as the Centre for Integrative Care) for the second half. He is a past President of the Faculty of Homeopathy, an international teacher and author of “Homeopathy in Primary Care”. 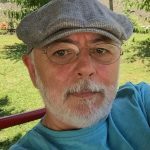 He retired from clinical practice last year and moved to France where he now concentrates on writing, photography and becoming fluent in French language and culture. Centred on the theme, Homeopathy: Healthy Patients, Healthy Practice, delegates enjoyed presentations, seminars and workshops delivered by leading homeopaths from the UK and around the globe. Topics for discussion included the first UK presentation by Swiss Paediatrician Dr Heiner Frei, who introduced his very successful approach to treatment of children with ADHD; Dr Jonathan Hardy's video cases of patients with severe addictions markedly helped by Homeopathy; Dr Julie Geraghty introduction of the new Gemstone remedies like Amethyst, Diamond and Emerald (also very useful in addiction) and Dr Elizabeth Thompson on the usefulness of the hydrocarbon remedies in treating patients with cancer. © 2016 Faculty of Homeopathy. All rights reserved.